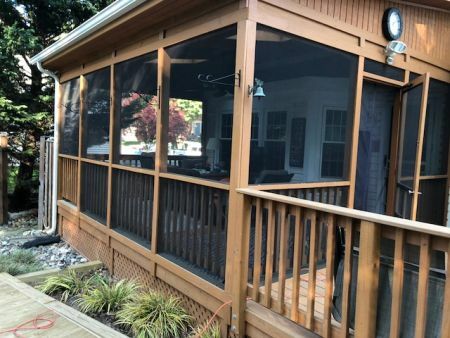 Turn your screened porch or patio into a beautiful 3 Season Sunroom with Porch Conversion of Charlotte. 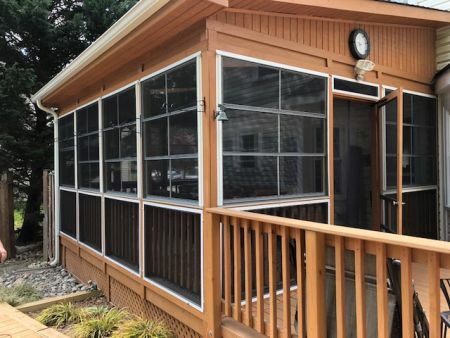 Imagine that never-used deck or screened porch converted in one of your most-popular home spaces—a sunroom enclosure that will provide years of enjoyment. It’s not hard! 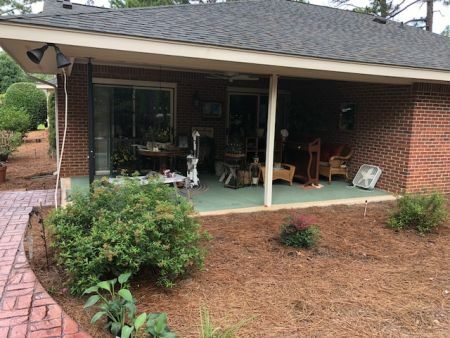 Porch Conversion of Charlotte offers expert, no-pressure consultations on how to turn that screened porch or patio into a comfortable sunroom featuring our exclusive EZVue 4Track Vinyl windows and doors. Now, you can “enjoy the view with EZVue” and let those wonderful easy breezes provide years of fun, privacy and comfort. Porch Conversion of Charlotte provides a full inspection of your screened porch or deck prior to adding your sunroom windows and doors. 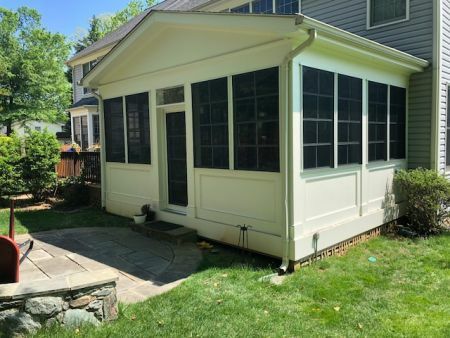 We take care to avoid any last minute porch conversion headaches so that the entire experience goes smoothly and we earn your referrals! 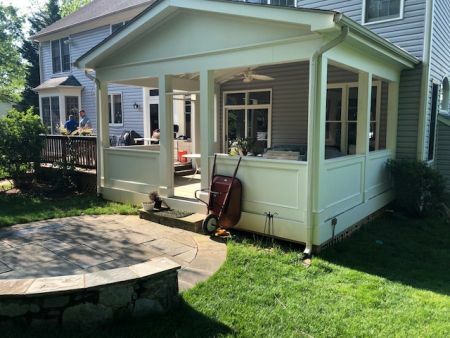 A highly-recommended company, Porch Conversion of Charlotte has built hundreds of sunrooms, converted many Charlotte area family screened rooms to Three Season Sunrooms, and earned four Angie’s List Super Service Awards in a row. 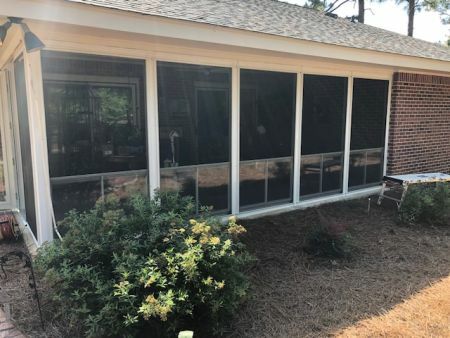 Porch Conversion Sunrooms of Charlotte, NC is your best choice for converting your screened porch or deck into a sunroom with beautiful, long-lasting EZVue 4Track Vinyl Windows and doors. And, we offer 9 frame colors and 4 vinyl window colors to choose from. Our service area incldes Charlotte, Concord, Matthews, Mint Hill, Huntersville, Cornelius, Gastonia, Winston-Salem and Greensboro and surrounding communities. Homeowners can select from 9 frame colors for their EZVue window system. Our Powder Coating Division opens up new possibilities for blending your new porch conversion into the home’s exterior decor. 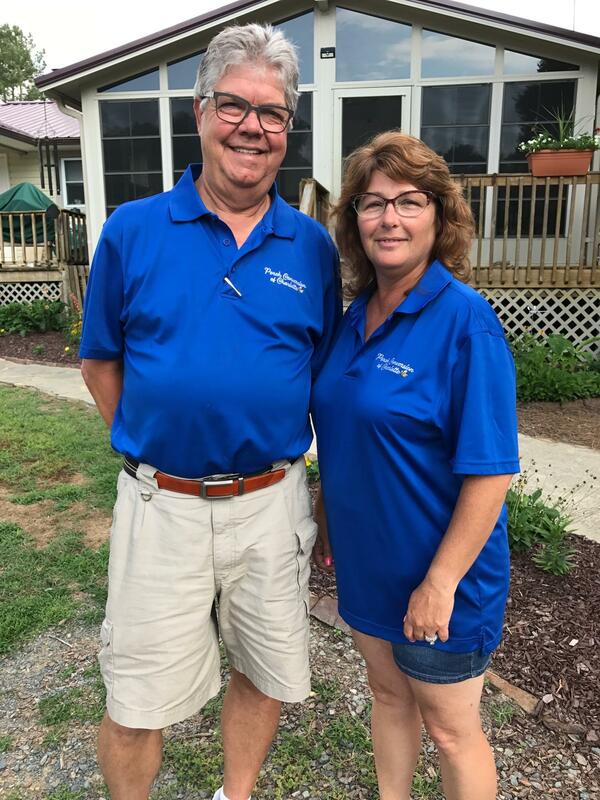 Brad and Kim Beachy of Porch Conversion of Charlotte. Family-owned and committed to your complete satisfaction! 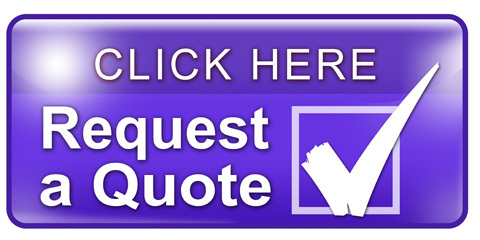 We pride ourselves on being different than other sunroom companies and sunroom contractors. While many sunroom builders limit your options to pre-fabricated designs, Porch Conversion only builds custom sunrooms. Our design team will visit with you at your house to go over all of the options and opportunities available to you and how to best create your dream room enclosure!